Creating a profile on LinkedIn is no longer enough to boost brand awareness, generate leads and encourage potential customers to engage with your business. Sure, it is an invaluable way to introduce who you are, your products and your services; however for real lead generation and positive ROI, you need to go beyond your company profile and implement any number of the following techniques and strategies. 1. Complete your profile – you’d be shocked by the sheer number of individuals who don’t complete their profile on LinkedIn; however this is a mistake. After all, if you cannot complete a simple profile, then how dedicated will you be to their project? A complete profile inspires confidence in your business, but also ensures they know exactly what you do and what you are capable of. 2. Prove your expertise through your content – if you want to look like an expert in your field, then it is essential to put yourself out there and start asking engaging questions but also share useful advice and original content. By sharing content instead of opting for a hard sell, you immediately make yourself appear more trustworthy, approachable and helpful. Through your valuable advice, your followers will start to feel appreciative of what you have to say – an appreciation that could turn into a long lasting business relationship. Tip: For optimum results, we suggest publishing articles directly onto LinkedIn or sharing status updates. By raising interesting industry questions and linking them to posts on your blog; over time you can become a leading authority in your field. 3. Participate in discussions – once you have established yourself as a company to trust; take your engagement one step further by participating in targeted LinkedIn discussions. Within this group, you will find a bunch of people looking for answers and support – expert knowledge which you can give them freely and turn into new leads (as they’ll keep returning to you for more advice). 4. Make connections – one of great things about LinkedIn is that you’re free to message 1st or group connections, enabling you to interact with hundreds of individuals all at once. Just make sure that you don’t go for the hard sell, but instead establish a conversation based on mutual interests and benefits. With time these messages can turn into new leads and greater profits. Similarly, when joining groups, don’t just join the obvious. Instead, look outside the box and explore businesses that don’t strictly belong to your niche, but could prove to be a valuable connection. Through these connections, you can generate leads from a broader spectrum of clients. 5. LinkedIn Paid Services – whilst a lot of the techniques we’ve suggested cost nothing, for optimum results we strongly recommend implementing some of LinkedIn’s paid services. From their Sponsored Content – that is designed to get word out about your brand across all platforms – to their Dynamic Ads which allow you to target decision makers and influencers; each and every one of these methods can get you, your business and your content in front of the right audiences and can turn them into leads. Paid services to consider include: sponsored content, sponsored InMail, display ads and text ads. 6. Research profile views – LinkedIn makes it possible for you to view who has visited your profile. Using this information, you can research and message those who are already a connection and see if there is anything you can help them. If however, they are not a current connection, you can easily look into their background and see if they are relevant to your industry/business. If they are, you can then start a conversation i.e. about how you noticed that they’d visited your profile, and take it from there. You’d be surprised by how a simple profile viewing can lead to long term relationships. 7. Stay active – similar to Google, if you don’t post regularly, you will fade into the background and lose your position. That is why we suggest making a post at least once a week to keep you at the top of your network, so when you reach out to make an introduction, they will know who you are. 8. Connect LinkedIn to your Twitter account – you can amplify your reach by connecting these two networks together and allowing your Twitter updates to filter in and re-post themselves onto your LinkedIn profile for your followers to see. These 8 steps are just a handful of ways that you can successfully utilise LinkedIn and use it to generate leads and work for the betterment of your business. And the great news is – you can easily implement any one of these techniques yourself without any external support. However, if like many companies you struggle to find the time to log onto your LinkedIn account, let alone write articles and join discussions; then placing your trust in the hands of leading optimisation and LinkedIn specialists 01 Agency can make all the difference. With our help we can help to raise your personal and business profile (optimising it for search); define your target market; implement connection activity to increase your professional network and create/distribute content. 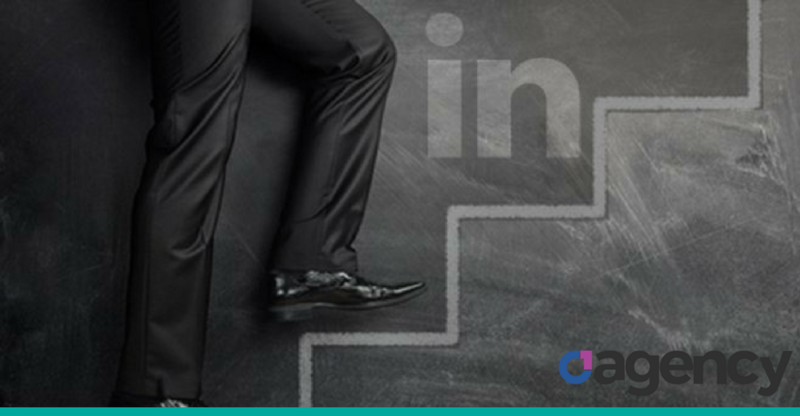 So if you’re interested in utilising this versatile platform and harnessing the hundreds, if not thousands of leads LinkedIn has got to offer, contact us today. Learn how to use LinkedIn to raise the profile of your business and generate leads with 01 Agency’s New Workshop – LinkedIn for Business Growth. Book Now!